WE ARE A MULTI-DISCIPLINED CREATIVE TEAM OF HELLRAISERS HELPING PEOPLE TELL INCREDIBLE STORIES THROUGH A LENS OF EXTRAORDINARY MEANS. SQUAD! These people helped make "Celebrate the King: Honoring 75 Years of King Records" possible. We're missing a handful of folks here, shout out to Megyn Norbut and Steve Ramos, and yup a few more – Get hip to King Records, the birth of "True American Music." Celebrate the King at Memorial Hall, Cincinnati, OH. Courtis Fuller, a Cincinnati legend, letting us all know the importance of King Records and the path Henry Glover paved. SQUAD! 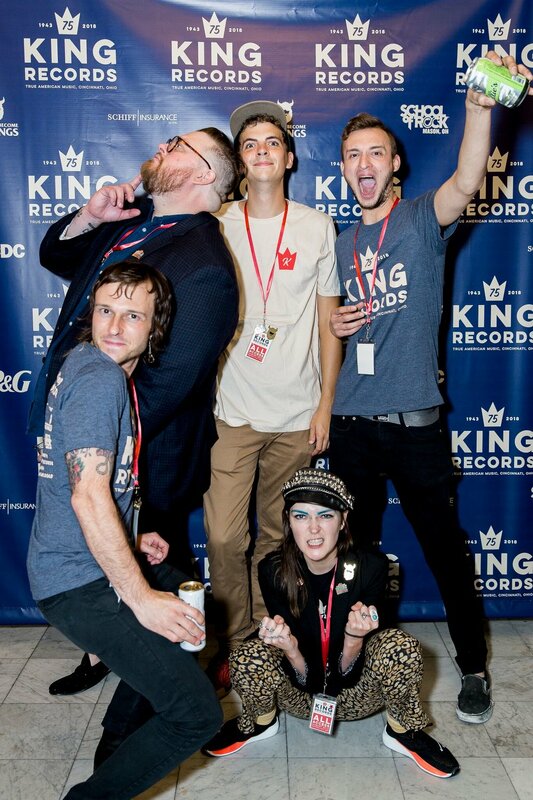 These MFers + Megyn Norbut, Steve Ramos and a select few put on the King Records 75th Anniversary Gala, "Celebrate the King: Honoring 75 Years of King Records" at Memorial Hall in Cincinnati, Ohio, August 25th, 2018. We're partnering with King Studios and Listermann Brewing Company to celebrate the recent acquisition of the King Records property by the City of Cincinnati and the upcoming 75th anniversary of King Records in Evanston—here are a few posters we illustrated, designed and printed. Fun collaboration with goDutch & Hershey's Kisses new Cocoa flavor. We have become vikings designs & prints everything from branding, interactive, motion, Paper & Apparel Printing.